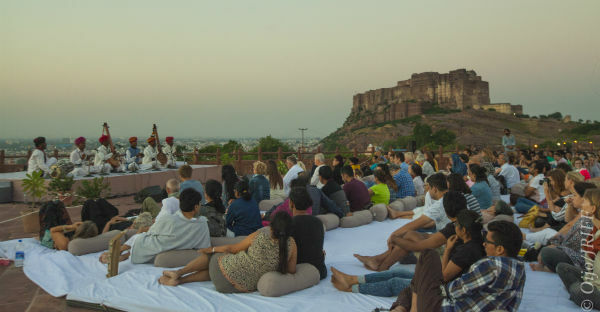 New Delhi: Witness Jodhpur’s Mehrangarh Fort come alive once again, glowing in the effulgence of the brightest moon of the year on Sharad Poornima, with enthralling music, colours and the earthy charm of root musicians from India and abroad. This edition of Jodhpur RIFF will run from 5th through 9th October 2017. Acclaimed for its enriching soundscapes in picturesque settings, Jodhpur RIFF offers a contemporary experience of rustic cadence, where Rajasthani music amalgamates with global sounds from across the world. For the last 10 years, Jodhpur RIFF has been a wholesome retreat for those with music in their veins, artists and music lovers alike… the charm and serenity of Jodhpur, an unbeatable setting at the Mehrangarh Fort, versatile programming and innumerable personal touches – all making Jodhpur RIFF the destination that people want to come back to, year on year. From tranquil dawn sessions to exhilarating club mixes late into the night, Jodhpur RIFF has it all – an international platform where traditional repertoires come to the fore and effortless synergy creates unparalleled experiences of global sounds through carefully crafted collaborations and amazing presentations. Featuring over three hundred and fifty Rajasthani and international musicians, Jodhpur RIFF is an opportunity to savour rare Rajasthani and international sounds, meet and interact with legendary masters and witness the younger generation of artists enriching a formidable legacy. Dawn Concerts: with soulful root-music performances in the tranquility of dawn and the magical settings of the elevated Jaswant Thada. Desert Lounge at Rao Jodha Park: full moonlit, acoustic, midnight concert that goes on till the wee hours of the morning. RIFF Rustle– a large impromptu mash-up of artists performing at the festival, rustling up musicians in pairs, quartets, or all together. Interactive Sessions a rare opportunity to meet and chat with fascinating artists through their performances, demonstrations and facilitated interactions. Babunath Jogi: Babunath ji is a Jogi and the lone singer in his village singing the stories from the epic lives of Shiva, Gopichand, Bharthari and other folk heroes as well as Kabirvani and the songs of Surdas and Gorakhnath. Bikha Khan with Multan Khan: Bikhaji, 74, is the living master in folk renditions of Khamaj, Suhab, Sourath, Bharavi, Todi, Bilawal, MeghMalahar and Jog. Few living masters still present the unique legacy of the mellifluous Kamaycha. Brothers Ghewar Khan and Darra Khan take the legacy forward accompanied by Firoze Khan, the master of the Rajasthani dholak. Younger artists accompany the seniors presenting a unique concert centered around this incredible instrument. Jalisco, the land of Carlos Santana, Tequila and Mariachi, gives us another virtuoso guitar player Paco Renteria – expressing explosive Latino passion with roots in gypsy flamenco, oriental and progressive jazz beats, Paco has performed with artists such as Carlos Santana and Luciano Pavarotti. His original composition, “El Mariachi”, was the main theme for the movie “Desperado”, with lyrics added and performed by Los Lobos and Antonio Banderas. A 2002 Latin Grammy nominee, Steven Spielberg’s studio selected Paco Renteria for composing and performing the promotional soundtrack used in Mexico for the movie, “The Legend of Zorro”. The Spree (Paisely) twins with the Jodhpur RIFF, in a celebration of friendship and indeed, the Paisley Pattern itself – two ‘tapestries’ will be curated, one musical and the other digital. An hour-long performance will be curated in Jodhpur and premiere at the opening concerts of both the Jodhpur RIFF (6 October) and the Spree (13 October). Ross Ainslie, whose accolades include being one half of the 2017 BBC 2 Folk Duo of the Year (Ross Ainslie and Ali Hutton), leads the collaboration which also features virtuoso fiddle player and composer Angus Lyon, the remarkable Hindustani vocalist Smita Bellur and awe-inspiring Sindhi Sarangi master Asin Langa. Formed thousands of miles apart and yet with so much in common, the two combos have worked together for nearly four years and the bonds that bind them are stronger than ever. And no one emerges from a Shooglenifty/ DhunDhora show without answering the urge to move. Performing in two minority languages – Gaelic and Marwari – they speak the same musical language. A live interplay of equals, together they have developed a mischievous improvisational musical kinship that is a delight to witness. The collaboration will be recorded and filmed in Scotland and India, ready to release their album in early 2018. Jodhpur RIFF begins ‘The Roundhouse Sessions” a 2-year collaboration of Welsh story-tellers with Indian mystical music connecting the messages of the stories in a musical mélange of Welsh and Indian languages. The collaboration is unique in that it is facilitated by three festivals – Festival of Voice, Beyond the Border and Jodhpur RIFF. Exceptionally talented, Manipuri vocalist Sila Mangka reveals her masterful talent and unique training in rare traditions of Moirang Sai and Basok with her group Laihui. Rewben Mashngawa, father of the Naga blues then joins her on stage for a new collaboration. The Banswara Bhillshail from southern Rajasthan are linked to the indigenous tribes of Central India. Their traditional music includes Gatha (story songs), Lori, devotional, ritual songs, and love songs sung in Dvipadi (2-line verses), Tiripadi (3-line verses) and Chatuspadi (4-line verses), in a rhythmic style, using the Dhol, Koudi, Thali, Ghungroo, Kundroo, Tambura, and the Ghumera dance. Bixiga 70 is one of the most widely sought after Afrobeat dance bands from Brazil. 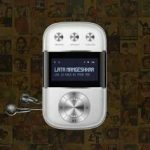 These talented musicians produce a contemporary sound that mixes Brazilian and African influences, including Samba and Reggae, with a little electronica, carimbó, and ethio-jazz. A-must on any dance playlist! Young gypsy jazz masters Nicotine Swing speak in fresh, lethal musical tones. As they blend American Swing with Gypsy string rhythms, ‘manouche’ music from the 30’s becomes a present-day effervescent reality! Early bird discount of 15% will be available until 12th September 2017. Previous articleCan Nano Curcumin be used as an adjunct therapy for Malaria, Cancer and TB in humans?